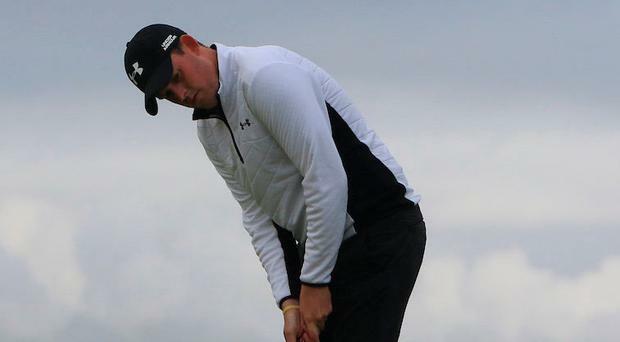 Matt McClean (Malone) and Adam Mulhall (Ardglass) lead Ulster’s hopes of North of Ireland Amateur Championship success at Royal Portrush today. McClean will face Ian Lynch (Rosslare) in the semi-finals this morning, while Mulhall lines up against English visitor Kieran Babbage (The Players Club). This is new territory for McClean, who reached the last-16 in 2014 before losing to eventual winner Chris Selfridge. “I felt happy enough today. Surprisingly, I had minimal nerves,” said the 25-year-old optometrist, who beat Barry Cashman (Belvoir Park) in the quarter-finals yesterday afternoon. Mulhall will become a trainee professional at Ardglass GC in October and would love to bow out of amateur golf with a win. “It’s a bit of a surprise to get this far,” said the 22-year-old who recently graduated from Stirling University with a degree in Sports Science. Meanwhile, Ulster were crowned Women’s Inter-pro champions following a 5-3 win over Leinster at Castle Dargan. Elsewhere, Graeme McDowell’s chances of securing a late place at The Open look slim after the first round of the Scottish Open at Gullane. McDowell, who shot a one-under 69, needs to finish as one of the top three players not already qualified for Carnoustie, with Scott Fernandez currently in that third spot sitting at six-under. Tiger Woods admits he has yet to come to terms with winning his fifth Masters title at Augusta National. By Brian Keogh Ian Poulter is the latest big star to commit to what promises to be a sell-out Dubai Duty Free Irish Open at Lahinch from July 4-7.